The new Radioline wireless system from Phoenix Contact is specifically designed for wireless signal transmission at large facilities. I/O mapping is one special feature that distributes signals from up to 250 stations within the system without any software. Industrial systems are frequently subject to high loads due to lightning strikes, which can cause both direct and secondary damage. The LM-S lightning monitoring system detects and analyzes lightning surge currents, providing a way to evaluate the actual system load. All industrial sectors are striving to maintain the availability of their systems and avoid costly unplanned downtimes. Lightning strikes are a frequent cause of system failures. Electrical and electronic components should be effectively safeguarded using surge protection. 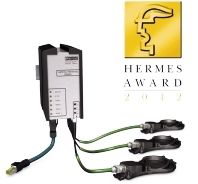 Phoenix Contact has been awarded the 2012 Hermes Award for a system that measures lightning surges in lightning conductors and conveys operational status evaluations via the Internet to the remote control center. The system is based on the electrical-optical Faraday effect and measures the full course of the lightning surge as well as the impact on each of the individual rotor blades. 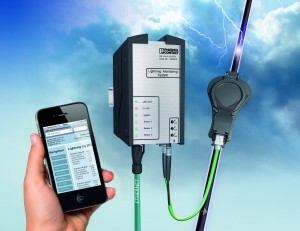 Energy data collected using the Phoenix Contact EMpro family of measuring devices can now be monitored and analyzed remotely via a Web interface. 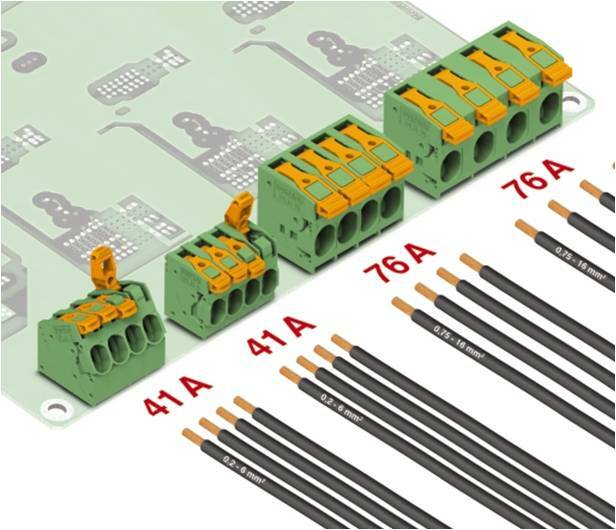 This is made possible by two new Ethernet communication modules with an integrated Web server that allow measuring devices to be quickly and easily integrated into existing Ethernet networks. Need to bring up to 76A to your devices, fast? Look out for what we can offer in our next issue.. Looking to add high pin counts to your new devices but concern about high withdrawal force? Look no further as we have the solution for you…….